Webster’s dictionary defines “acknowledge” as recognizing the rights, authority, or status of someone or something, which is certainly more intense than the way we typically think of acknowledgement. If you’re acknowledging someone’s authority, you’re acknowledging that they have power over you. Acknowledging God is not a surface tip of the hat, but rather a life-altering change. In Psalm 51:3, David says, “For I acknowledge my transgressions, and my sin is ever before me. Against You and You only have I sinned and done this evil in Your sight.” David is confessing God’s authority in His life—authority that had major consequences for him when David strayed from allowing God to guide him. As the Pulpit Commentary put it, “To acknowledge God is to recognize in all our dealings and undertakings God’s overruling providence, which ‘shapes our ends, rough hew them as we will’”. There’s just no way around the fact that acknowledgement of God is active, rather than passive. Most people will wear a cross necklace or give God a shout-out when something goes right and believe they are obeying the command in Proverbs 3, when all their actions and thoughts couldn’t be further from Him. Acknowledging God doesn’t mean just turning to Him in times of crisis, or publicly during worship. This is truly in ALL your ways—public and private, religious and secular. It is knowing what His Word says forwards and backwards, and living a life that reflects the fact that God is directing it. 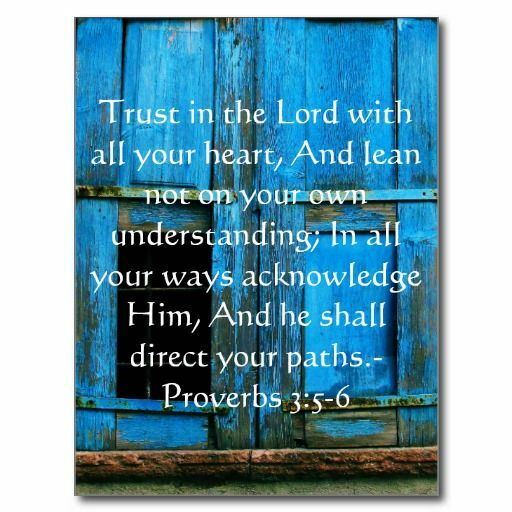 The meaning of “He will direct your paths” in Proverbs 3:6 is to make them straight and even, pleasant and prosperous. That doesn’t mean that nothing in life will ever go wrong, but rather that even the bad things will be bearable because God is sharing the load with you and you know He has an amazing reward planned for you. I read Matthew Henry’s Concise Commentary on Proverbs 3:5-6 and thought it was really beautiful, and summed up how we must approach this acknowledgement of God. Biblical Meditation: What Does It Really Mean For Us? Acknowledge – to know, implies intimicy in bible terms, Adam knew Eve and it produced Cain; but also to “ascertain by seeing” leads me to David was not moved because he saw the Lord always before him at his right hand. Powerful. And of course we are already at the right hand of God being seated with Christ in heavenly places by the power of the Holy Spirit. As we are faced with a decision, a situation, a storm let us remember that we are not on our own. He did not leave us orphans. Christ is with us in the boat. Let us get to know Christ intimately through the Holy Spirit and see Him with us in the time of decision. I see Him joined to me in the covenant hand shake. What do you want to do Lord, which way do you want to take? Not my will but Yours be done. I exchange my will for His. I exchange my ability for His.